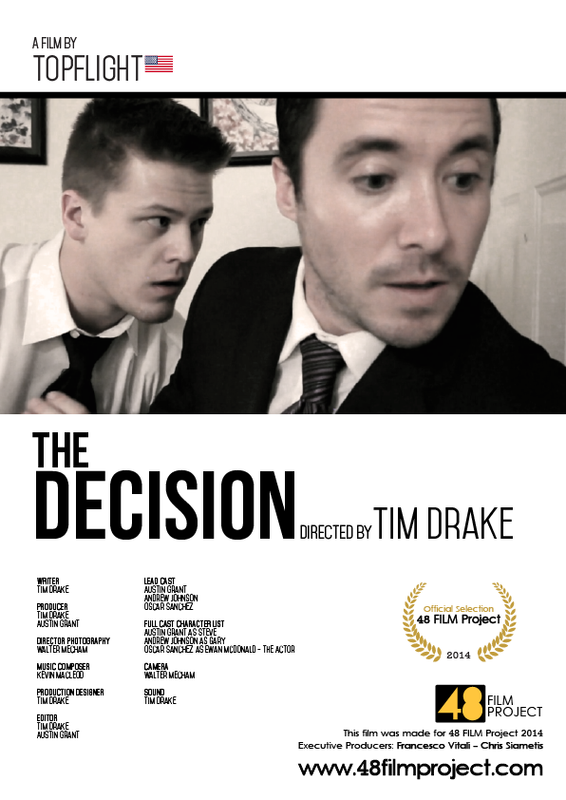 On the Mic with Tim Drake: 'The Decision' makes the TOP 15 in the International 48 Film Project! 'The Decision' makes the TOP 15 in the International 48 Film Project! In early November our Production team decided we would compete in the International 48 Film Project. We were given 48 hours to Write, Direct and Produce a short film. Once our clock started, we were given a character name, a line of dialogue, and a prop that had to be used in the film. At the end of the 48 hours we made the short comedy, 'The Decision'. After two long months waiting to find out how we would place, we have made the Top 15! The prize for the Top 15 is screening for the Directors Guild of America in Hollywood in February. We couldn't be happier about making the Top 15! We would love to to post the video here, but we aren't able to share it until after the screening for the DGA. However, you can watch it on the 48 Film Project site. Enjoy!